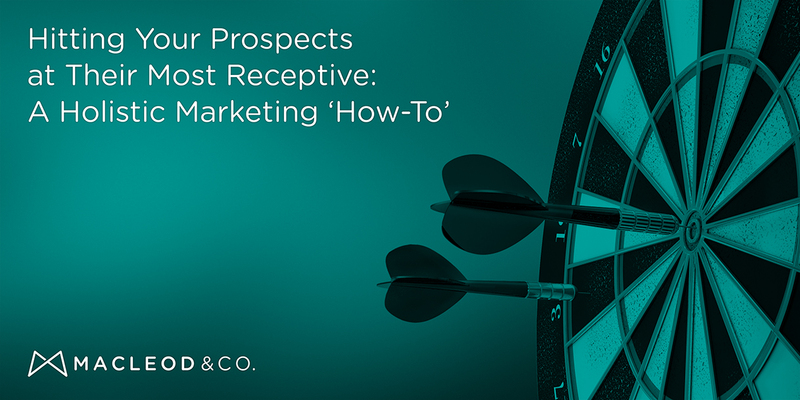 Hitting Your Prospects at Their Most Receptive | Macleod & Co. Hitting your prospects at their most receptive is of utmost importance. Now consider the same vacation, but you’re leaving in five minutes. Where do you pick up the rental car? How do you get to the hotel? Did you pack the sunscreen? Completely different scenarios. Totally different mindsets. The sales cycle works the same way. Whatever you’re selling, if you don’t slice and dice it to suit the consumer’s psychological buying cycle, you won’t reach them at the right time. In other words, if I’m just thinking about a beach vacation, I don’t care about the parking details at one hotel in Aruba. Whether you sell toothpaste, technology or beach vacations, your buyers all go through the same 5-step process. Hitting your prospects at their most receptive isn’t rocket science — the key is reaching them in the right way during each phase. What are you doing to spark desire or remind people of their potential needs? Are your messages in places where your prospects will see them coincident with a potential desire? Think “photo of happy people with umbrella drinks.” You’re not giving much away at this point; it’s all about the category (beach vacations) and making it easy to want what you’ve got. This stage may have come about because you (or your category, if you’re lucky) have created that desire. At this point, your prospect doesn’t want to be assaulted with information; she’s just admitting that she’s open to it. Now we’re at “happy people with umbrella drinks and the hotel logo.” You’re making it easy to want your product or service. This is where Holistic Marketing really pays dividends. Too many organizations shoehorn everything they’ve got into one thing (e.g. a brochure) that they use during every phase of the sales cycle. But that’s not the right solution. At this stage, all your marketing chickens come home to roost, because customers go to their networks — real and social — to see what their peers think. They examine your customer service. They scrutinize your brand’s authenticity. And they hammer your product with the bluntest instrument of all: the anonymous reviewer comment. Your customer is looking at the various menus of umbrella drinks and evaluating exactly where the best sunset-watching places are. Your offering must be there for comparison. Be brave, be yourself and be amazing. You’re not for everyone, and that’s okay. Just be true to your brand, because that’s what they’re buying. Conversion! The trigger is pulled, the purchase is made and we’re done, right? Not if we’re lucky. After I bought my first nice car, I was inundated with J.D. Power satisfaction surveys. Every few days, I’d get a question asking me what I thought about the smell of my car. What’s the thing I like best? Did I ever use [insert feature here]? I got to know my car better. I felt like I was part of the club. And later, I encouraged my husband to buy the same brand. In effect, the car company was reminding me that I was on my beach vacation while congratulating me on my wise choices. I felt good, but more importantly, I didn’t regret my choice. Your customer relationships only end if you go out of business. Post-marketing and after-purchase support are like vacation snapshots we like to share. Make sure they’re good — and feature lots of sunshine and umbrella drinks!